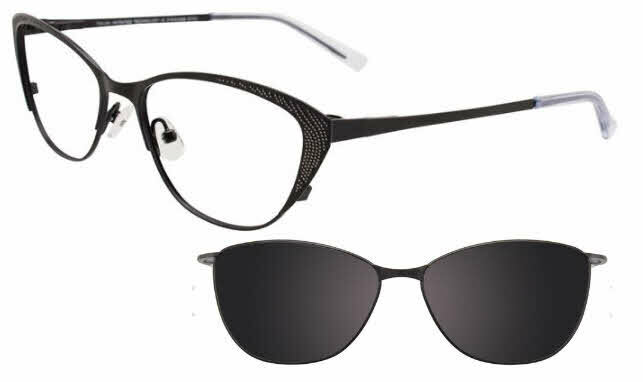 Takumi TK1072-Polarized Clip on Lens is a Full Rim frame for Women, which is made of Metal. Takumi TK1072-Polarized Clip on Lens Eyeglasses come with a cleaning cloth and protective carrying case. I've had them for about a month and so far I really love them. I was heartbroken when my previous frames broke because they were so much a part of my "look". After looking at hundreds of replacement frames, these were the ONLY ones I liked and that fit my face. I tried them on in a store and was disappointed by the price, so I found them on Frames Direct (for a much more reasonable price!) and I couldn't be happier. Ordering was super easy and I like them better than my old pair! Long live cat eyes!